J is now twenty months old and is a picky eater. Having a toddler who only eats a limited selection of foods is hard work. He has reached the stage where he wont eat anything he doesn’t recognise. Sausages – only when they are cooked in gravy! He used to eat so much more. So as you can see he is super picky. I have tried so many things to get him to eat food and I am starting to pull my hair out. Meal times have started to become stressful. It doesn’t help that he doesn’t talk much so communication is limited. I decided to ask some other people for suggestions and the replies I have had a great. Needless to say I am not the only one with a picky eater. Kati from How to rock at parenting said that Patience and inventiveness does it. ‘My daughter used to hate spinach, but I kept offering it to her in different ways and finally succeeded by putting it onto pizza. Since then it’s been one of her favourites! It is said that foods can take 10-15 tries until they are accepted’. I would be super impressed if I could get J to eat Spinach. Eva from Captain Bobcat also has a picky eater and she said ‘Mine only eats pizza, pasta and some risotto. No fruits, veggies, or meat at all. So I try to smuggle everything into these meals. Making homemade yogurt with frozen veggies and fruits (kale-mango-strawberry or beetroot-berries-carrots) He gets dried fruits, he’s ok with that. I make tomato based vegetable sauces for pasta. I put hummus on his sandwich instead of butter. Pancakes made with smashing a banana, eggs and Scottish oats. She has some great ideas on her blog. I had never thought of putting hummus in a sandwich instead of butter, I think I will give that one a try. Beth from Twinderlmo sugested to try offering food at various times. ‘I found my kids wouldn’t eat carrots if they were on their dinner plates but liked them as a snack. Eating in a less formal environment also helped so we often had carpet picnics opposed to sitting at the table. It felt more relaxed so they ate more’. I remember doing carpet picnics with my eldest but didn’t think about doing them with J as he is a fidget. However the fact that it is a less formal environment might help. I am going to try J on some different foods whilst sitting on the carpet and let him come and go to it. Hopefully this will help. Kate from Family Fever has four children, she suggested to get them to help make and prepare their food. Mine always eat more of the stuff they’ve made themselves. I’m not sure if this will work with J yet, everything he gets hold of is straight in his mouth. 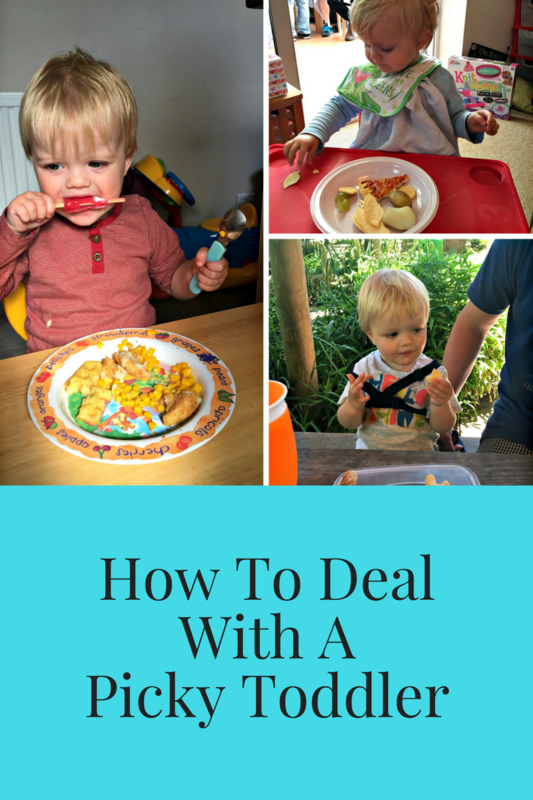 It’s definitely one to try if you have a toddler who is a picky eater. Sarah from Boo Roo and Tiger Too gave an interesting suggestion. She said Smell, lick and taste is one of the techniques that my community nutritionist tried for my son. 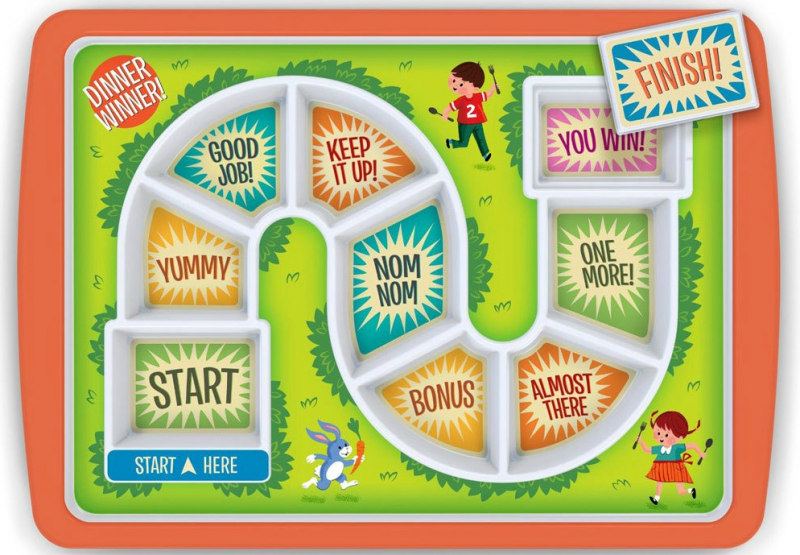 Using different senses is a great way to get a child to try new foods. Quite a few people suggest getting them to help you cook including Sarah from Mumzilla said ‘We eat together, and make a fuss of how delicious what we are eating is compared to his – then tell him he can’t have any as it’s only for big boys. Then it’s the forbidden fruit! I also don’t let him eat anything else if he hasn’t eaten what I give him – I just offer it again. He usually eats it eventually. That’s what thing I am rubbish at, when J appears to have had enough or wont touch it I normally offer pudding. I cant help but wonder if J could talk more and tell me what he didn’t like things would be easier. Meal times are a social time, for younger ones they should also be a little bit fun. Rebecca from My Girls & Me! suggested mmaking the food into fun pictures such as a smiley face made of veg. Alex from Lamb & Bear said ‘We bought the Dinner Winner plate which helped but didn’t solve. Worth a try’. I had to google that one. I am not normally keen on plates that separate food as I think that can also add to a child being picky. However this plate looks great. This would be fun for trying out lots of different food items. It Would also work well with any picky child. Various places stock them. Kayley from Friendly First Foods said ‘With our son, when he refuses a new food we don’t make a big deal out of it. We just take it away. We then offer it regularly alongside his favourite foods over the next few weeks, with no pressure to try but lots of praise if he does. It takes time and patience but the only thing my two year old won’t eat now is peppers. He even eats lettuce which he seemed to think was poisonous for a long time’. Clare from Clare’s Little Tots also said that son is super fussy. She always make’s sure there is something on this plate he likes and a little bit of something he doesn’t so it isn’t too overwhelming for him. Lots of praise if he tries something and ignore it if he doesn’t. I think the general consciences is to get your picky toddler involved at meal times. Whether it is growing food or helping prepare it. Make their meals look fun and appealing and to gradually introduce new foods along with the ones they already like. It can be and no doubt will be a long process to get my twenty month old to eat and try different food. If all else fails I love Nikki from Yorkshire Wonders suggestion ‘Pretend it is yours and they are not allowed it. They will have it off your plate in no time’ – I think this one might just work! 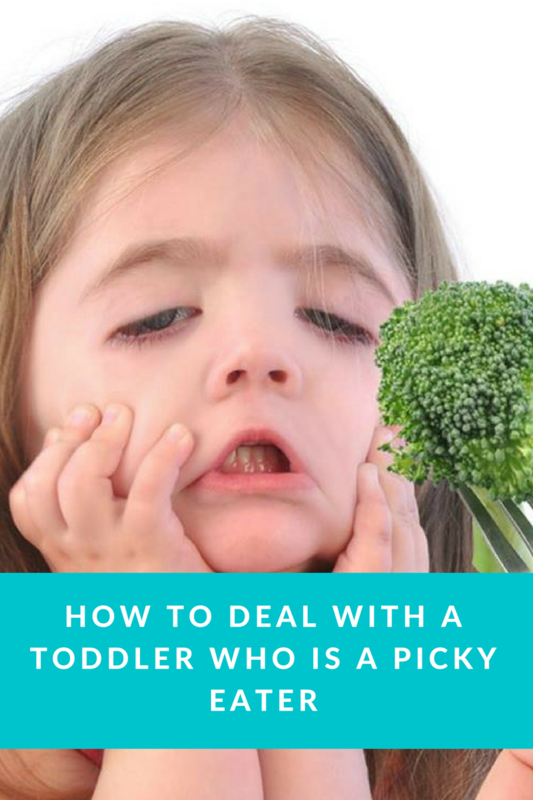 If you have any other tips on how to deal with a picky toddler I would love to hear them. Such great ideas on encouraging children to eat a more varied diet. Thank you for including my suggestion. Thank you for your suggestion. Writing the piece has helped give me some great ideas. Hopefully some of them will work. Lots of great tips here. Love the plate ! My oldest was very picky when she was younger. We found carpet picnics and buggy snacks really helped take some of the stress out of the situation. I tried to meal plan so that the rest of us still had a varied diet and she was still exposed to a wide range of foods, but that there was always something on offer from her safe list too. I never forced her to eat/touch or try anything – what she put in her mouth was always controlled by her, but I did insist on everyone having the same things on their plates. it felt wasteful at the time, plating up food that I knew would go untouched, but I think it helped in some small way. Good luck! I think I am going to try a carpet picnic. it might get him to try some other foods. I think a meal plan will help me and will hopefully help him try new foods. A fantastic array of helpful comments. When my son was a toddler if it wasn’t beige he wouldn’t eat it. Now at six he gets upset my me forcing him to eat peas but is much better and I blend in fruit and veg and we have smoothies etc. His favourite food is omelette as he can make the whole thing, supervised at the cooker of course! Good luck! I think I am definitely going to have to try the smoothie option or ice lollies. I tried him with pasta tonight along with something I knew he would eat. As I guessed he didn’t touch the pasta. Its going to be a long process. All great ideas. My girls aren’t big fans of veggies but they eat so much fruit that I’m not worried about a lack of vitamins etc. One trick I use is to change the scenery where they are eating. So when time allows, I will pull out an old blanket, throw it on the carpet in the lounge, or the lawn outside and declare it to be a picnic lunch. Just the idea of something different and they see their food in a whole new light. Cold finger food, raw carrots, grapes, cheese, ham rolled up, sandwiches cut in different smaller shapes. It all works out much better. They don’t eat everything, but more than normal.